We continually search for better and easier ways to provide effective solutions. 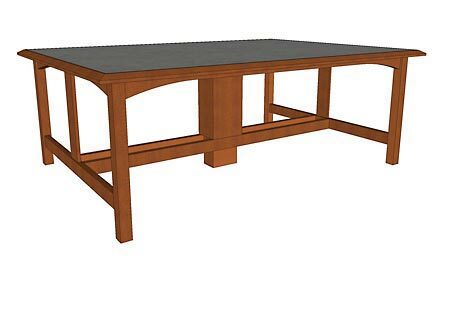 One method, as part of our front-end service, is to create a 3-D image of your table. Three-dimensional imagery helps to eliminate any ambiguities about the design and facilitates communication among all parties. Working together, we're able to visualize the same table and make adjustments as the specific environment requires. To further enhance the 3-D experience we can colorize the image with the proposed finishes, giving a realistic sense of the final product.